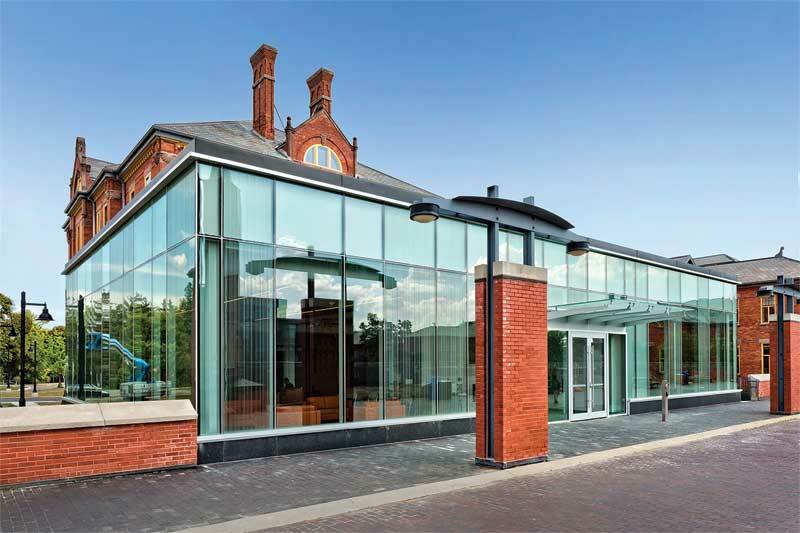 As one of the world’s most versatile building materials, with a wide range of esthetic options and outstanding energy characteristics, glass provides numerous opportunities to enhance buildings’ visual appeal and performance. As glass panels and insulating glass units (IGUs) become larger and glass occupies more real estate on curtain walls, storefronts, and interior building components, ensuring colour uniformity and consistency across the façade becomes both challenging and critical. It is important for architects to be aware of and attain colour uniformity with glass. 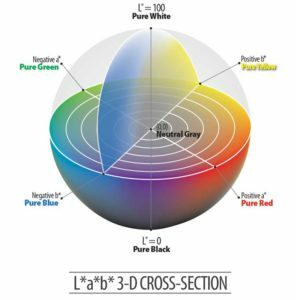 This can be facilitated by becoming familiar with the globally recognized L*a*b* colour system developed by the International Commission on Illumination (CIE, Commission internationale de l’éclairage). 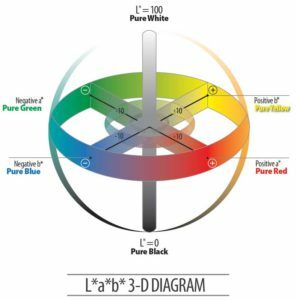 It is also helpful to address related glazing-colour specifications and proven glazing-sample viewing techniques for more effective colour evaluation. Colour uniformity of glass in an architectural application can be defined as variation in appearance of the colour or shade within one glazed unit, or between multiple glazed units of the same type installed in the same plane and elevation of a building. 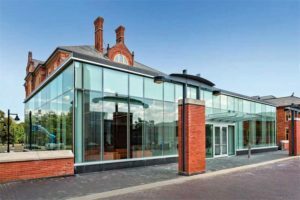 However, as discussed later in this article, the appearance of visually perceived colour differences within or between installed glazing units does not necessarily mean colour uniformity requirements as manufactured have not been met. This is where measuring the actual colour of glazing units comes into play—a process beginning with measurements taken during the glazing manufacturing process. 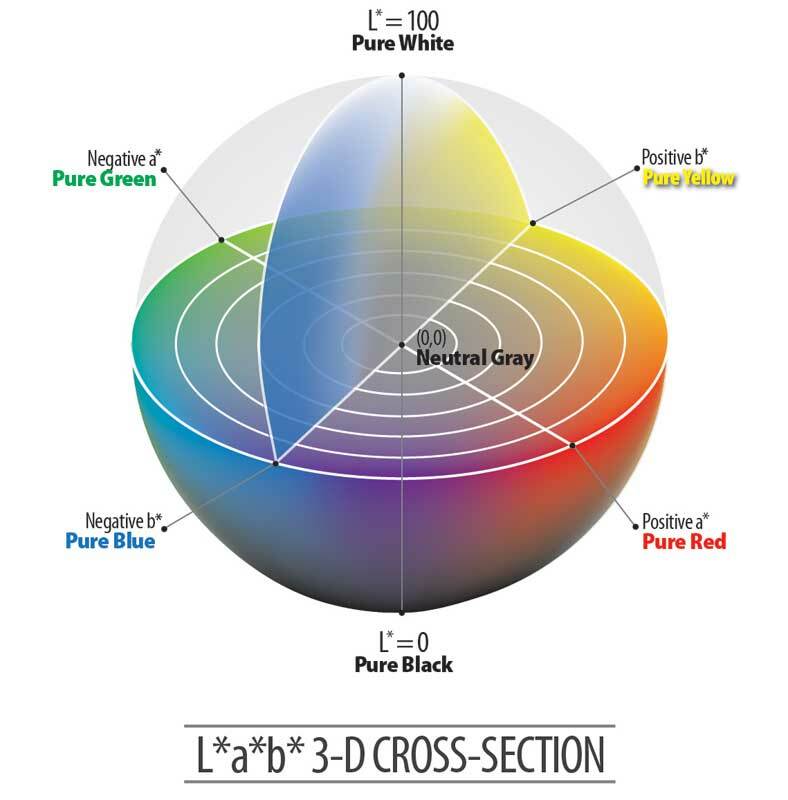 For the proper context, however, one should first define what colour is before addressing the topic of colour measurement. As seen in Figures 1 and 2, the L* values range from darkest to lightest (0 to 100) in this model. Positive a* values are more red, while negative a* values are more green. Positive b* values are more yellow, while negative b* values are more blue. Most glass and coated glass products—with the exception of painted spandrels—are fairly neutral in colour and have L* values ranging from 20 to 97 and a* and b* values ranging from –10 to +10. In this case, when looking through the glass in transmission, it takes on a somewhat darker bluish-green appearance.